For me, painting is a way to find a personal center in a place where the present, past, and future co-mingle. Painting is a mechanism for processing and meditating on systems, while responding to immediate and far-flung surroundings. It is also a way to imagine, construct, and recollect. Human experience and history are ongoing inspirations for my work. Ideas of Realization, Struggle, Birth, and Rebirth, inform the works presented. 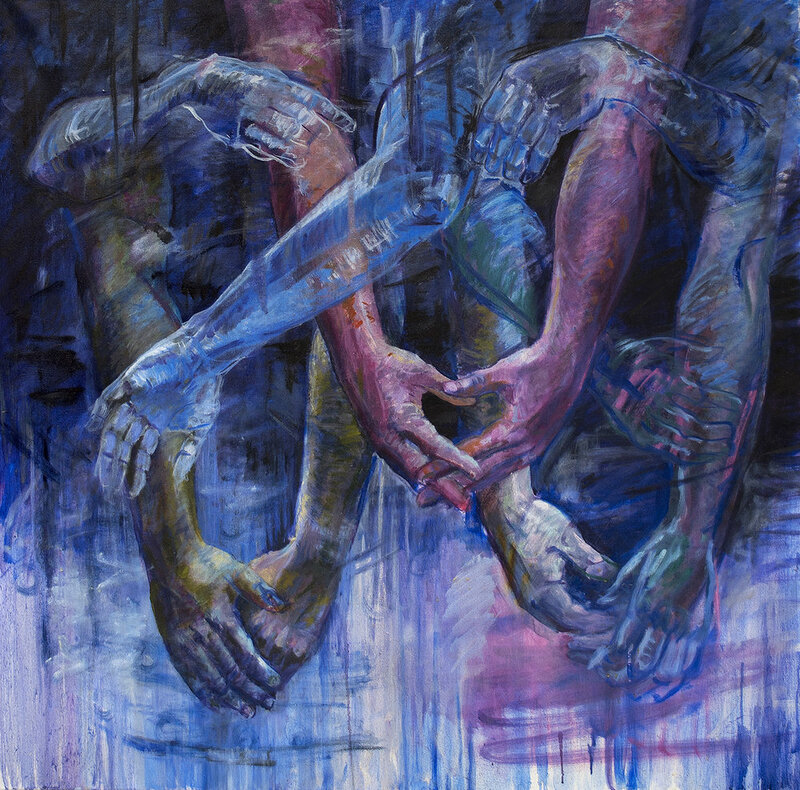 Throughout most of these works, hands search, climb, embrace, push forward, and fall back, both together and separately. They interweave across the picture plane through a space that is hinted at or imagined. Some of the works use paper as an observed setting. Collected ephemera and detritus such as Bingo cards act as the raw materials of assemblages, which I observe and interpret through oil paint and brush. These compositions of ephemera and everyday detritus jumble and layer about the picture plane, alternately revealing and obscuring.